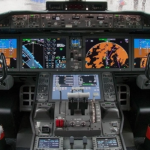 At Performance Software, we know our success hinges on the innovation and turnkey solutions our team provides for our clients in the avionics, aerospace/defense, healthcare, and energy markets. In order to achieve our objectives and exceed our clients’ expectations, we know we need to recruit and retain best-in-class employees. So, we work hard to create a collaborative culture and an engaging work environment that challenges our team with compelling and diverse projects and rewards them with competitive salaries and benefits. With safety-critical systems, we set the standard for performance. As a software and engineering services firm, we offer tremendous opportunity for software engineers and software developers who possess meticulous attention to detail. Our team of professionals has a diverse workload and is always uncovering solutions to complex problems, so there’s never a dull day at the office (or your home office). Another philosophy that’s important to us at Performance Software is a sensible work/life balance. Due to the nature of our deadline-oriented environment, there will be times our software engineers and software developers might pull longer hours to deliver high-quality results. Our commitment: This is the exception and not the rule. At Performance Software, we’re disrupting the embedded software industry with our highly collaborative approach to outsourced development. Along with the benefits of lifelong learning, incredible experiences and opportunity, and limitless potential, employees enjoy collaborating with other like-minded and agile problem-solving professionals. Our team members receive competitive compensation and benefits. Along with free beverages and snacks, team lunches, and company-sponsored events outside the office, we offer a 12% IRA contribution—100% paid for by the company, 100% yours immediately. This benefit alone differentiates Performance Software from other employers who offer just the typical 401k program where employees must contribute their own money to benefit from the company match and are forced to wait to be fully vested. If employment with Performance Software sounds intriguing, check out our current opportunities. In addition to full-time employment, we also offer paid internships and co-ops.